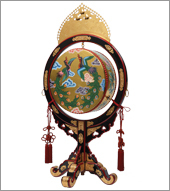 Wadaiko is said to have originated in China, from whence it was imported alongside gagaku during the Nara period. 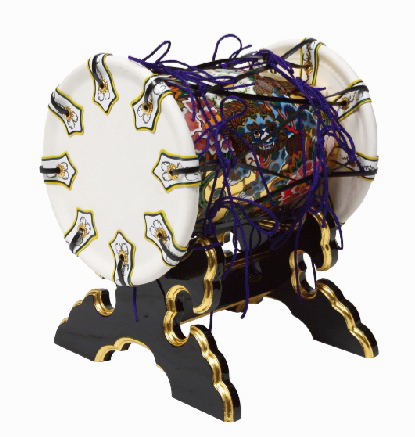 Gaku Daiko (meaning "music drum") is the type of wadaiko used for gagaku performances, and most closely resembles the orignally imported drums. 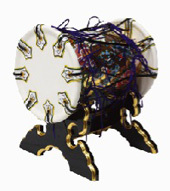 Other instruments used for gagaku include kakko (small drum) and shoko (metal percussion). 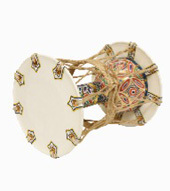 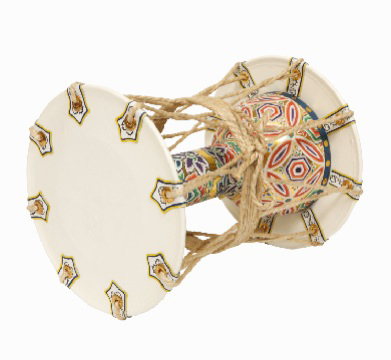 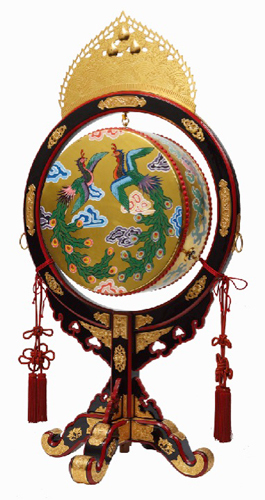 Gaku Daiko used for Tenrikyo ceremonies are specifically referred to as Kagura Daiko (meaning "devine music drum").